Down the Rabbit Hole: A Cautionary Tale. 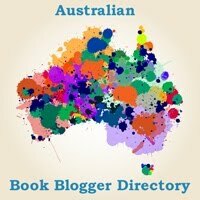 Guest blog post by Karen J Carlisle. I’ve always loved researching, learning new little factoids and exciting titbits, especially when it was for my own satisfaction. It started with world-building when I ran D&D games in the early 80s and expanded into historical clothing and construction in the 90s (my historical re-creation phase). Now I get to combine them with my passion for writing. The results are speculative, alternate histories in the form of Victorian steampunk mysteries. So far, I’ve written about Jack the Ripper, nineteenth century Egyptology (they were obsessed with mummies), Victorian beach holidays, dirigibles (there’s always dirigibles! ), time travel and photography. Then there’s Victorian science – things they thought to be true, some of which have since been proven to be flights of fancy – like optograms (photographs taken of the back of the eye and supposedly recording the last thing seen in life). I’ll be the first to admit I am a confirmed info-aholic. I need to know what I’m writing about before I can start twisting it around. Stunt artists use a similar principle: you need to know how to ride a horse before you can muck around and look like you can’t. Ernest Hemmingway called this the Iceberg theory: the reader/audience only sees a fraction of a writer’s work. The more I know before I start, the more ideas slip into the story, sometimes subconsciously. Like easter eggs you find in a video. An example is a plot device I used to have Inspector Abberline ‘bond’ with Viola in ‘Doctor Jack’. Abberline had clockwork mechanicals on a shelf in his office. Viola loves mechanicals. Perfect! Later a reader asked me: why clockwork mechanicals? I had no other answer than: it felt right. Months later, when I was re-reading some of the research I had done for the story, it clicked. Abberline had been a clockmaker before he became a policeman. I had read the information, absorbed it and used it unknowingly. Serendipity is one of the things I love about writing. I’ve researched photography and moving pictures in form of the Magic Lantern, anarchists, Mars, Victorian science fiction, nineteenth century medical and morgue procedures and the state of Police investigative procedures in the late nineteenth century. Research for the final book in The Adventures of Viola Stewart series, include: Victorian beach holidays, nineteenth century water therapy for depression, the Loch Ness monster, Madame Tussaud’s, local flora and geography of St Andrews. Currently I’m researching nineteenth century magic and illusions, hysteria, hypnotism, mesmerism, Venice and Carnivale. I admit I do a Wikipedia search to get an overview of the topic. (Note: don’t believe everything you read. I’ve lost count of how many webpages I’ve found with identical – and often incorrect – ‘facts’ cut, pasted and repeated endlessly from questionable sources. However, sometimes this can set me off on a new plot course.) I find the best information in the bibliography where I can find links to original research papers, contemporary texts or obscure books. Next I do a google search, using keywords found. Museum, library or research sites are good places to check. I do library searches to find reference books, and order in books from interstate if needed. I’m fortunate that my local library has a local historian on staff, and has organised historical tours of the area. I also watch a lot of documentaries. A. Lot. Of documentaries. Just check the dates and do extra research to confirm older ones still have current theories. And don’t forget the human element. Many of my friends have gone on to do PhDs and have amazing careers. Over the years I’ve been privileged to meet people with eclectic areas of expertise. Don’t discount this fountain of knowledge. Many people love to share their knowledge. But I’m pedantic. I have been known to research the colour of smoke produced by a particular explosive, even resorting to contacting scientist friends on Facebook when I couldn’t find an answer. I even found a reference book with detailed chemical analysis of gases produced after firing a specific pistol, of a specific date, just so I could describe the smell of the particulates after firing. (I own that book now. It’s listed below) Maybe it’s the scientist in me? But I want to get the science correct – or at least consistent with how the Victorians perceived it at the time. I use a lot of maps from the late 1880s: maps of cities, London Zoo (1888), plans of buildings, to get the layout of my settings. Viola and her friends often move through London’s streets as they investigate the mysteries. In the nineteenth century, London was a patchwork of various levels of society, sometimes smashed up against each other. You could turn a corner from an upperclass street into one of rundown tenements. To give some semblance of authenticity, I use a combination of Boothes Poverty Maps (1889) and Google Maps to follow them, describing the architecture and streets on the way. Boothes Poverty map lists the income of any given street, so I know if it was a slum or upper class dwellings at the time. To add to confusion, many buildings were blitzed during World War II. I use second hand books on Victorian architecture to help recreate original buildings that have been modernised or rebuilt. This is the speculative element. I devise my own theories on Jack the Ripper, exploit the Mummy’s curse and find nefarious uses for the popular entertainments of the time. I feel the need to inject authenticity in my stories to counterbalance the added speculative elements, alternate science and twisted history. If I do the research on the small things then, just perhaps, the reader will accept the twists – no matter how fantastic they may be. This is possibly where I should insert a caveat: I (may) delve down in research rabbit holes a little too deeply. But that is my choice, my writing comfort zone. My research is not confined to setting and plot. Viola was enticed into the world of detectiving by the Sherlock Holmes story, ‘A Study in Scarlet’. In ‘The Illusioneer & Other Tales’, she is reading Arthur Conan Doyle’s ‘The Mystery of Cloomber Hall’(1888), set in Scotland, where the protagonist is lured into a pit. This is echoed in my novella, ‘From the Depths’. ‘Tomorrow, When I Die’ featured two contemporary stories: ‘A Christmas Carol’ (1824) and a short story – and HG Well’s first foray into time travel – The Chronic Argonauts (1888) both hint at the topic for this story. And yes, I did find them online and I did read them. How could I not? But, like Abberline’s clockwork mechanicals, the contemporary novels also can influence my story, creating unexpected Easter eggs for those who know the background material. See, isn’t writing fun! Viola needs a holiday. But, even at the beach, or while partying on the grand tour of Europe… there are things afoot. 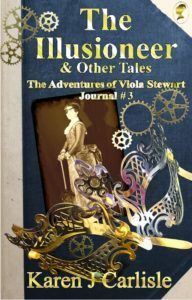 The Illusioneer & Other Tales: The Adventures of Viola Stewart Journal #3 is currently scheduled for release in late October/early November. For more information, sign up for Karen’s newsletter. Karen J Carlisle is an imagineer and writer of steampunk, Victorian mysteries and fantasy. She was short-listed in Australian Literature Review’s 2013 Murder/Mystery Short Story Competition and published her first novella, Doctor Jack & Other Tales, in 2015. Her short story, Hunted, featured in the Adelaide Fringe exhibition, ‘A Trail of Tales’. Karen lives in Adelaide with her family and the ghost of her ancient Devon Rex cat. She’s always loved dark chocolate and rarely refuses a cup of tea. Thanks for letting me share your space, Suzie.